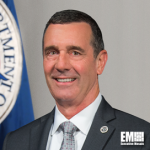 David Pekoske, head of the Transportation Security Administration, has said TSA collaborated with airline and airport partners this year to broaden the use of Computed Tomography X-ray systems at airports and plans to field additional machines in 2019. Pekoske wrote in a blog post published Friday that CT X-ray machines work to help officers detect threats and may potentially discard the need for travelers to take out electronics and liquids from their hand-carried baggage for screening. TSA announced in July that it expects to have up to 40 CT scanners at the country’s airports by the end of 2018 and increase them to at least 145 units by the end of fiscal 2019. Pekoske noted that TSA has deployed more identity and biometric systems, including the credential authentication technology that works to verify and match a traveler’s photo ID against the agency’s Secure Flight screening system. TSA has increased testing of CAT systems from 17 units at seven airports to 42 systems at 13 airports and will continue to test facial recognition platforms this month at a Los Angeles International Airport terminal in partnership with the Customs and Border Protection. Pekoske said TSA has installed at least 140 automated screening lanes at over 12 airports to date and plans to field more lanes this year.